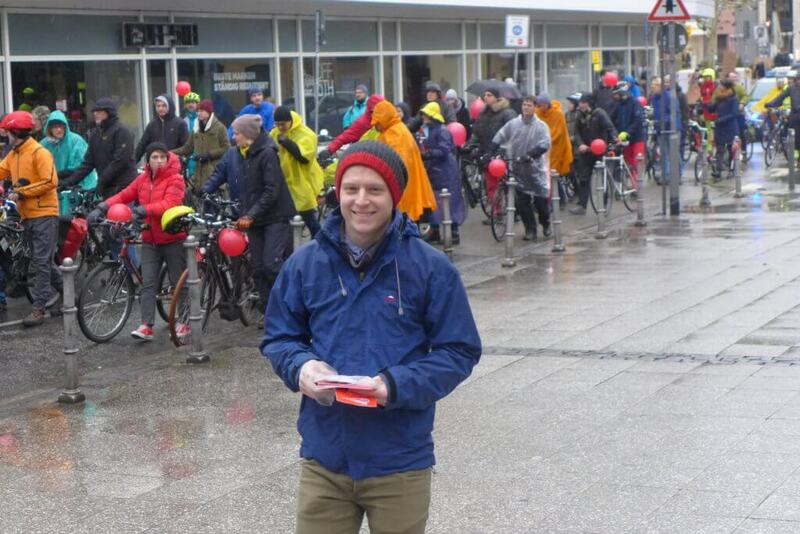 More than 550 people braved the icy-wet weather in Frankfurt on January 27th. That had its reasons: The magistrate wants to reject the Radentscheid. But the Frankfurters can not be discouraged that easily! 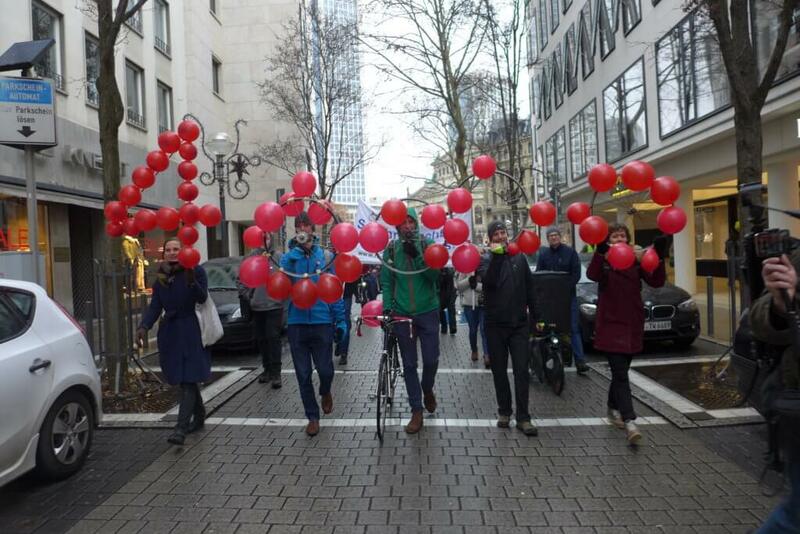 40,000 people signed up last year for a better bicycle infrastructure in Frankfurt. The parties of the magistrate ignored this so far. 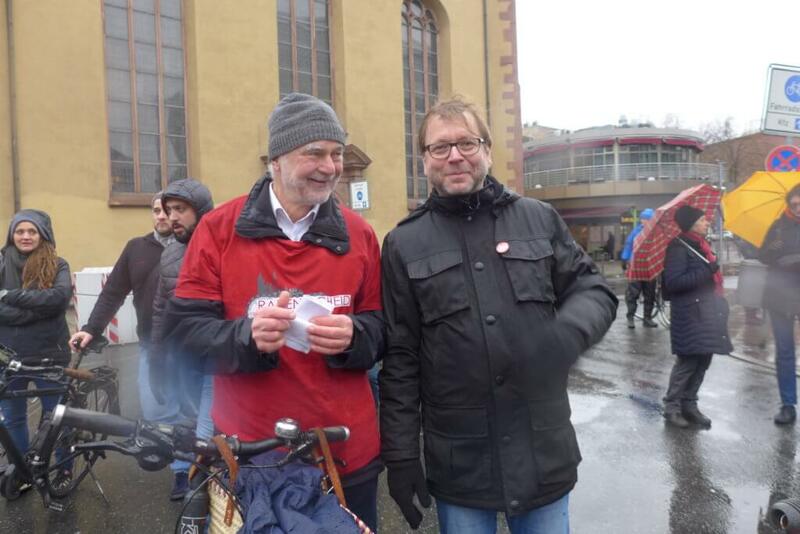 Since the end of the collection of signatures over 6 months have passed there was no written statement by the parties to the Radentscheid. 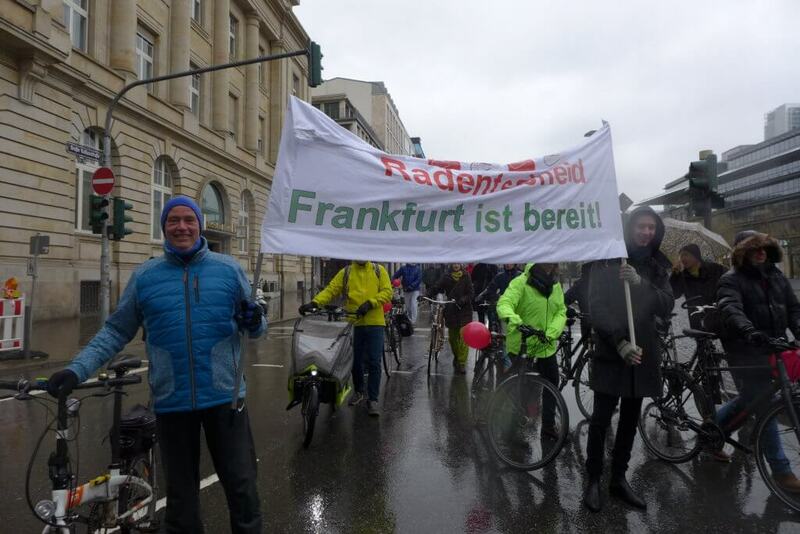 Now it is rumored that the Radentscheid should be declared inadmissible due to formal objections. 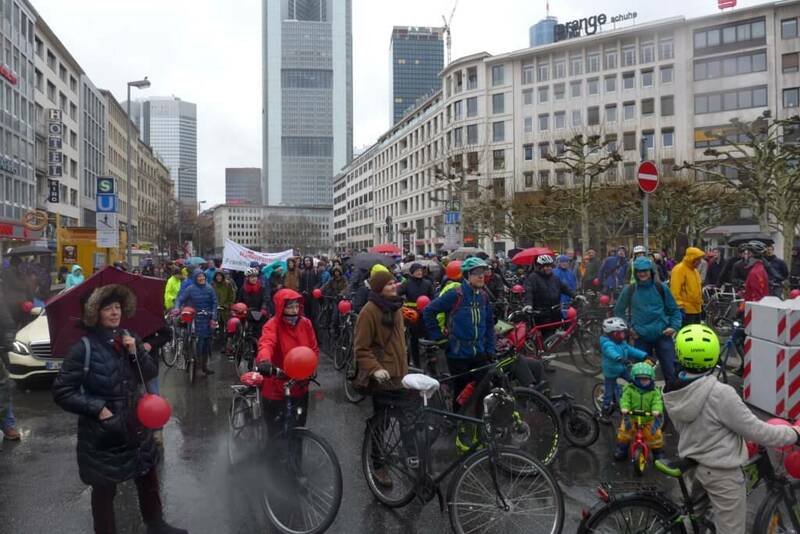 On 27 January, 550 Frankfurt citizens of all ages symbolically pushed their bicycles from the Alte Oper to the Römer – due to a lack of good cycling infrastructure. 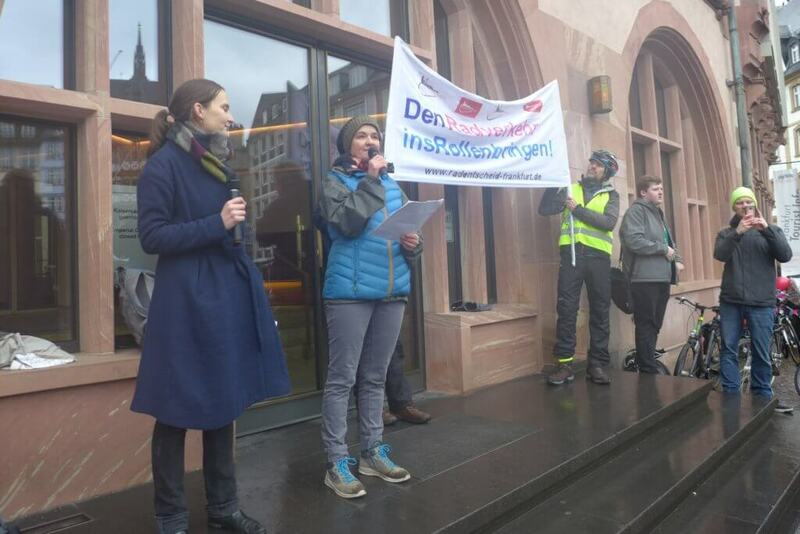 Chants like “Frankfurt ist bereit – für denRadentscheid!” underlined the determination of the participants. In between, stops were inserted, u.a. 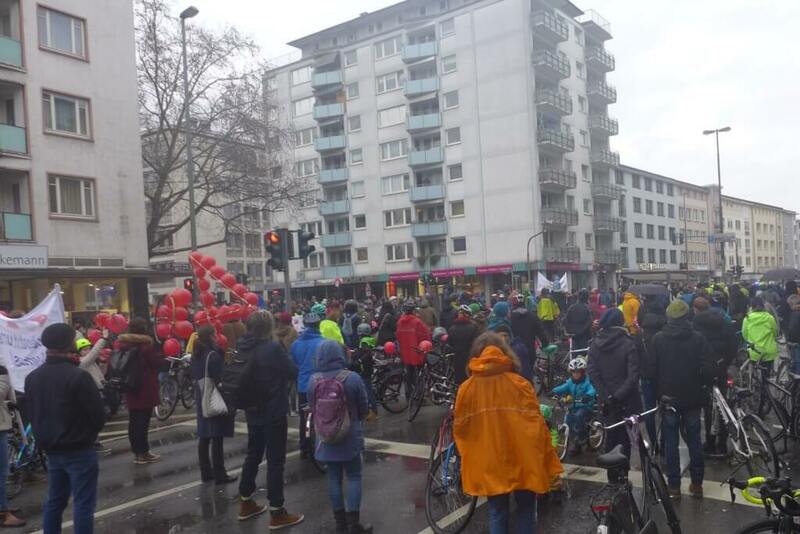 at the Hauptwache, where attention was drawn to the excesses of the formerly exclusively car-centered traffic policy and to Berliner Straße, where was remembered the killed 6 cyclists of the past year in Frankfurt. 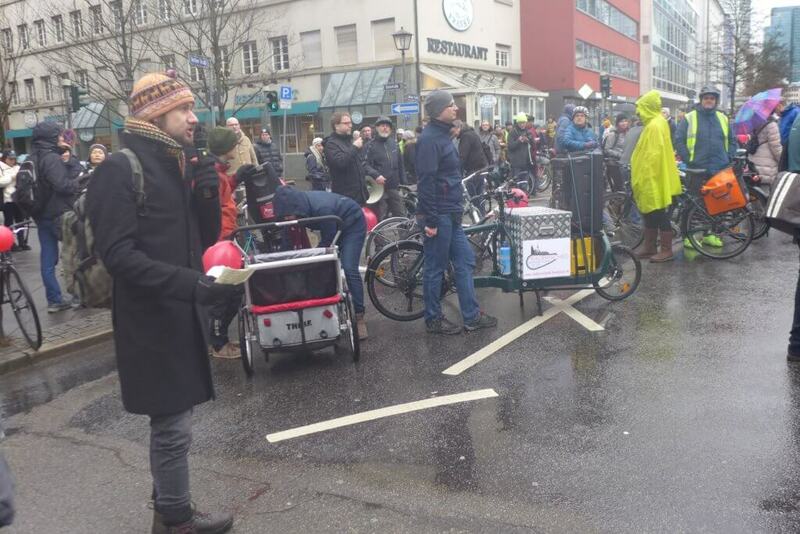 A reminder that shows that better bike infrastructure is not about luxury but sometimes just about health. Now most likely follow negotiations with the city. 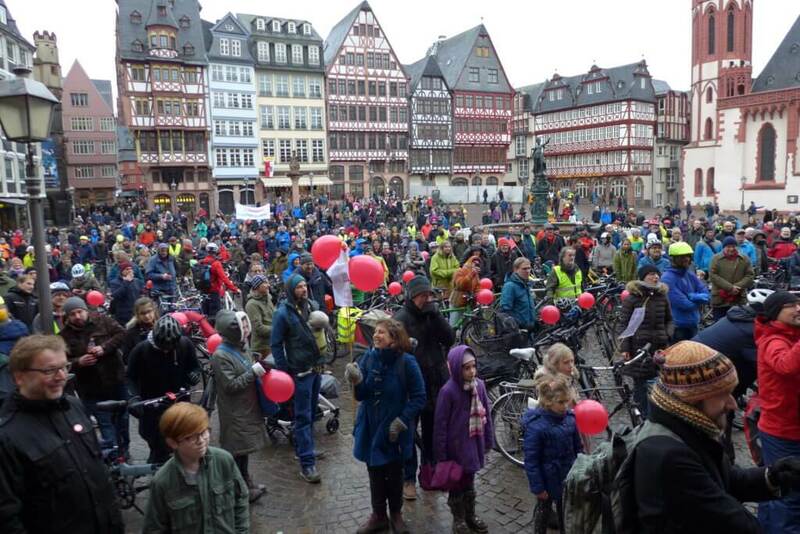 One thing is for certain: The Radentscheid Frankfurt is still on everyone’s lips and is experiencing great support. One thing is for sure: there is no alternative to the mobility turnaround!